Royall started her new role on Monday, in what is her first job outside the public sector. Her move to IBM comes just months after NHS Digital announced a three-year strategic partnership with IBM, awarding the company a £30m contract to strengthen the public-sector organisation’s cyber-security defences. In a statement, the tech company said: "IBM UK is delighted to confirm that Rachel Royall has joined its IBM Services Healthcare & Life Sciences team." It added: "Rachel will support the team on its communications strategy that helps to explain how IBM is supporting the healthcare industry, communities and citizens to address some of the most complex issues facing them today and how they can benefit from advances in digital transformation to improve the health of the population." The highly regarded comms professional has spent her career to date in public-sector comms, with almost 20 years in various roles – many of them in health bodies. She has previously told PRWeek that she enjoys "fast-moving communications environments" and would like to "ban 'a spokesperson says' so leaders take more accountability". In an interview during her role at NHS Digital, Royall commented: "Money has never been a motivation for me; it’s the complexity of the challenge and the ability to demonstrate that communications and public relations can really make a difference." She has described public-sector comms as "full of diversity, challenge and complexity, which make it a great place to be". The comms chief was placed ninth in PRWeek’s UK Power Book 2019’s top 10 most influential people in public-sector PR. In her Power Book profile, Royall warned that the proliferation of misinformation over the past year "has had dire consequences. Business, government and the media have been distracted from the real issues." 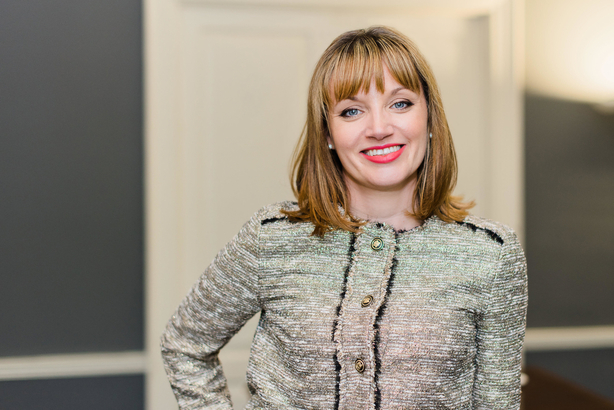 She also said her biggest professional challenge was "overcoming short-termism and distractions to deliver long-term, more meaningful, impactful PR". Royall started off her career as a comms officer at Lewisham Council for 10 months, before spending about a year at the London Ambulance Service as a press officer. This was followed by several years as a strategic comms adviser at the Department of Health before spending more than two years as deputy director of the Government Communications Network. Royall went on to spend five years at HM Revenue & Customs, where she rose to become head of business marketing and communication, before working in comms director roles for NHS hospital trusts. She was appointed comms director at NHS Digital in June 2017. Royall's work passions include "implementing communication and engagement strategies that help to drive transformation and culture change, leading to enhanced organisational performance and improved reputation." A theology graduate, she has been a visiting lecturer at Quadriga University, Berlin, since July 2018 and specialises in "internal and change communication and leadership for HR and communication professionals".